An Irish fairy is what I am. Just a little bearded man. When people see me on this day "Stay away from my gold," is what I'll say. What am I? 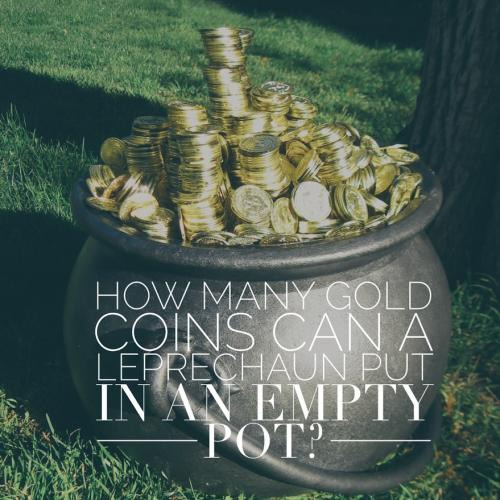 How many gold coins can a leprechaun put in an empty pot? One, then it isn't empty anymore! 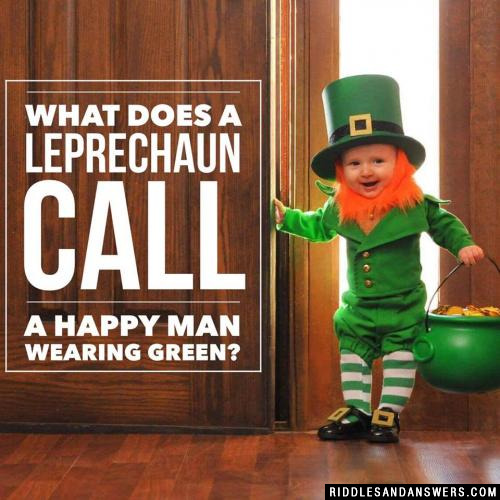 What does a leprechaun call a happy man wearing green? What do leprechauns love to barbecue? Do leprechauns make good secretaries? Sure, they're great at shorthand! Why do leprechauns have pots o'gold? They like to "go" first class! What do you call a ten foot leprechaun who carries a large club? What do you call a diseased Irish criminal? 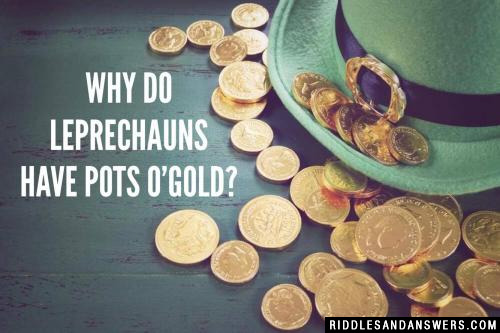 Can you come up with a cool, funny or clever Leprechaun Riddles of your own? Post it below (without the answer) to see if you can stump our users.